Find resources, training, and guidance to achieve your service goals. Help your reps close cases faster and share insights throughout your company with expert guidance from Salesforce Success Cloud. We'll connect you with consultants, resources, and tools that put you on the path to achieving your most ambitious goals. 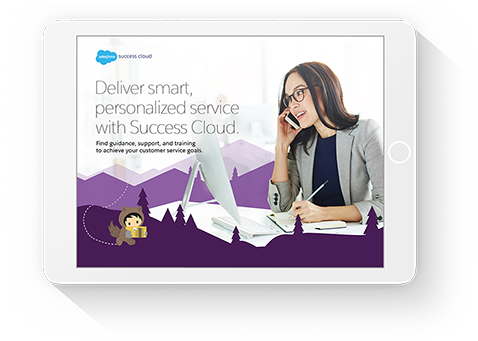 Download our E-Book to learn about the ways Salesforce Success Cloud can help you get the most out of Salesforce.